Easily Cut Even Cake Layers! 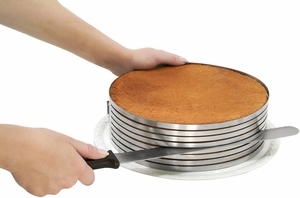 This Zenker Layer Cake Slicing Kit from Frieling makes slicing up to eight uniform layers a "piece of cake"! 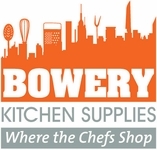 3-piece kit includes adjustable, grooved slicing mold, 12" serrated baker's knife and 11" cake lifter. Pair it with one of the extra-deep springforms for up to eight layers or a standard one for up to four layers.